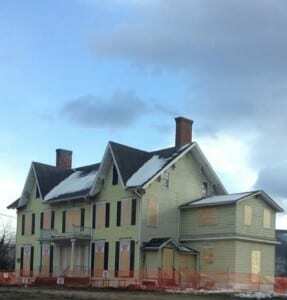 The purpose of Walk for History is to call attention to endangered cultural assets of the Hudson Valley like the Jackson House – irreplaceable assets that deserve the benefit of smart preservation policies. Preserving our cultural wealth enhances what makes the Hudson Valley a beautiful, profitable and well-traveled destination. Walk for History will provide the opportunity to spotlight endangered landmarks in the Hudson Valley, with the hope that an open dialogue will spearhead solutions and policies that better balance development with preservation. According to the Preservation League of New York State, $1 million spent restoring an historic building will eventually yield $1.9 million to the state’s economy. Successful towns understand that historic preservation yields enormous benefits that far outweigh demolition and removal of historic districts and landscapes. For more information, contact Theresa Kraft at 1 (914) 456-3258 or email friendsofjacksonhouse@gmail.com. The walk will begin at the eastern entrance of Walkway Over The Hudson, 61 Parker Avenue, Poughkeepsie, New York, on Sunday, November 24, at 1 PM. The Jackson house has been demolished. The oldest structure in Fishkill is no more.